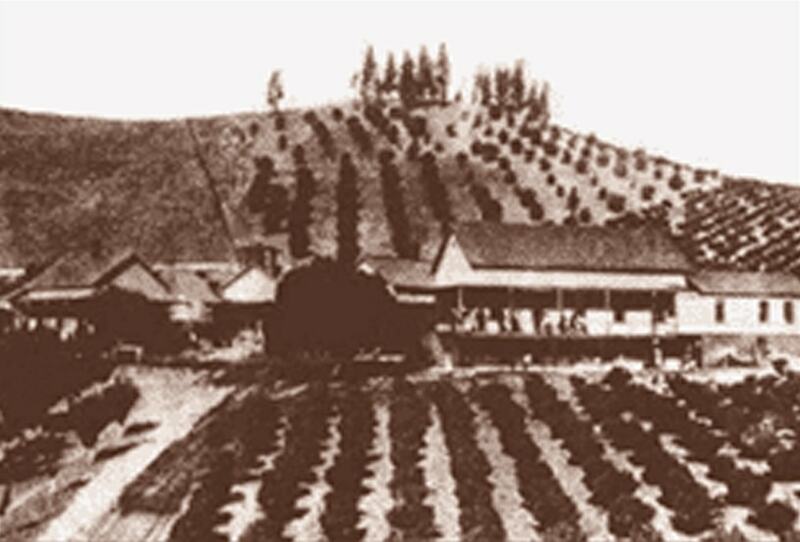 The Mount Diablo area was the “pre-eminent” grape growing region in the late 1800’s. By the turn of the century one third of agriculture, especially around the foothills, was planted with vineyards for making wine. From the vicinity of Clayton through Walnut Creek to Danville, grape vineyards gradually began to take over both the valley floor and the hills. These included the De Martini and Cereghino Vineyards and Winery, the Glen Terry Vineyards and Winery, the Mount Diablo Vineyards and Winery and the J. Levi Vineyards and Winery. The Martinelli family produced over 500,000 gallons at their Mount Diablo facility (you may recognize the name from the famous Martinelli sparkling apple cider). When grapes became the single most profitable crop for Walnut Creek farmers, locals celebrated by having the first Walnut Creek Grape Festival in October of 1911. Alas, the grape mite “Phylloxera vastatrix” invaded the luxuriant vineyards that stretched for miles along the creek bottoms and rolling hills. The vines died, and acre after acre had to be plowed under. Farmers in Diablo and adjoining valleys then turned in desperation to the growing of almonds and English walnuts that seemed to thrive. The fate of the grape in Contra Costa County was sealed on January 16, 1920, when the highly organized political power of the prohibitionists prevailed. The Eighteenth Amendment was ratified, and the era of Prohibition had begun. By the mid 1920’s, the land that had been previously devoted to vineyards was almost completely covered by orchards of walnuts and almonds. In 1936 the grape harvest celebration became known as the Walnut Festival.